Believe it or not, there’s a right and wrong way to use promotional items to promote your business. Most businesses try to create brand awareness by random products and then giving them away to as many people as possible, leaving product reception to pure luck. There is a better business practice than merely leaving it to chance. It is instead advisable to take a more strategic approach towards using promotional items. Here are a few tips that will help improve your business’s chances to get good return on investment from promotional items as part of your marketing campaign. 1. Have clear campaign objectives before you purchase your promotional products. You need to identify what goals you want to achieve from using promotional products. As far as marketing objectives go, you should ask yourself if you want to: (a) promote brand awareness for your business, (b) gain more lead inquiries for your business, or (c) initiate more sales for your business. Whatever your objectives may be, your return on investment should directly correlate with your business’s marketing activities. 2. Choose the best promotional products for your target audience. The promotional product that you select must be relevant to your target audience and the actions they want to pursue. For example, IT specialists will appreciate receiving a new laptop case, while clients in administrative positions might be more interested in a customized planner. If you have a younger audience, you may opt for custom buttons and pins. They’ve recently become a trendy fashion statement. 3. Aim to generate profit from your business’s promotional activities. Don’t just simply shell out funds to promote brand awareness. Choose a specific market as your target audience and recognize how you can integrate a promotional product into their customer experience. Understand the needs and wants of your audience, build an angle that will increase their desire for what you have to offer, and then pitch it to them in the most compelling way. For example, a store can give away a “free gift” after a set number of purchases. This is a great way to promote continued purchases while adding value to your brand. 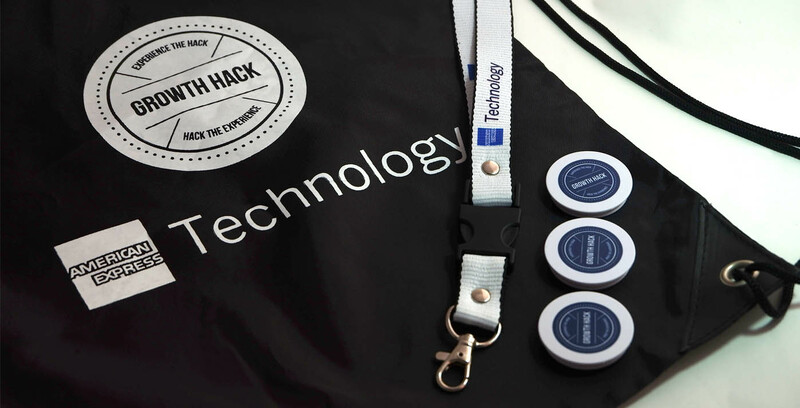 To get the best results, the promotional item needs to be unique and desirable. Many businesses have used items like limited-edition planners and mugs to create social media buzz, resulting in free online promotion. With these accessories in mind, feel free to check out Gift Solutions for your corporate gift requirements. Whether it is a product launch giveaway, a corporate event souvenir, a sales rally memorabilia, a holiday or Christmas gift, our products are designed with elegance, sophistication and simplicity — all within your budget. For more information, you may call our hotline at +637-8641 to 42, or send us an e-mail via info@giftsolutions.ph or schedule an appointment in our office in Pasig City, Philippines. Do you remember your first day or week at work? Whether it was amazing or simply awkward, the early days at a new job is always a memorable time for people in the workforce. Some companies, whether small businesses or big corporations, take great measures to welcome their new employees, while others don’t pay much attention at all. There are actually several ways to acclimate a new hire. Some companies organize a lunch with the big bosses or with their team, while others show internal videos to further introduce their company. And then there are others who incorporate giving out welcome kits. Remember when you first started school and your parents packed your bag with items you might be needing on your first day? This is a similar concept to an employee welcome kit. It’s like a survival kit for the office, intended to give the new employee the tools and knowledge they would most likely need to get up and running in their new job as soon as possible. Branded with your logo, give out a shirt to your new employee they could use for your company’s upcoming team building activity. Whether your new hire is a morning person or not, they would for sure need a cup of coffee to get them going through their work day, right? Your new employee’s first day will surely be overwhelming. Help them remember names, rules and details with a notebook or notepad branded by your company’s logo. Ditch the papers and save the environment by giving out a USB stick containing the standard documents you give out to new hires. This is something they’d definitely find useful. Add a more personal touch when you put in a video especially made welcoming them into the team. By making new hires feel welcome on their first day, you’re increasing your chances for better employee retention in the long run. Giving out welcome kits sets the tone and lays the groundwork for a culture of gratitude. Looking for gifts to welcome your company’s new hire? Gift Solutions has a huge selection of gifts to usher in the newest members of your team. Give your new hire a welcome kit that they would for sure find useful. 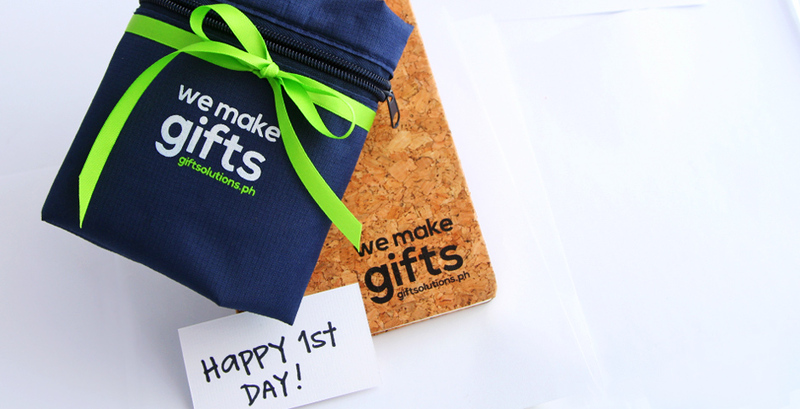 Contact us by calling (+632 637-8641 to 42) or sending us an email at info@giftsolutions.ph.